Introducing the Framed Bee Collage! 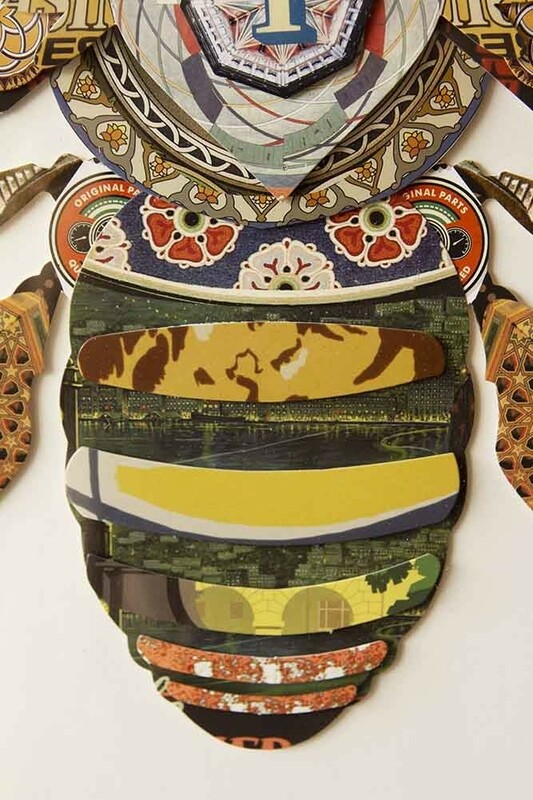 Crafted from layers of beautiful patterned paper collaged together, the Framed Bee Art Print offers a modern take on classic decoupage. Celebrating the importance and beauty of bees, the Art Print features a majestic honey bee made up of a geometric patterns and colourful paper to create a statement piece of art that adds whimsy and wonder to the walls of your home. 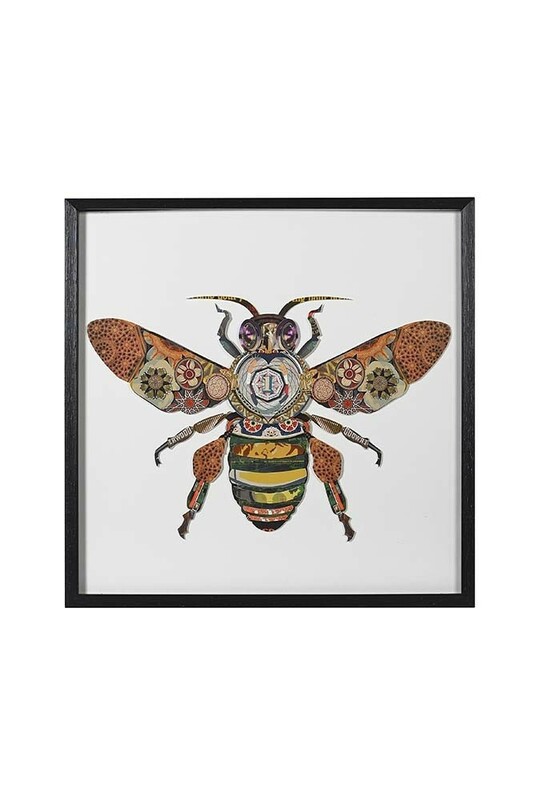 The Framed Bee Collage Art Print measures 60cm x 60cm and is provided with the chic black frame included. 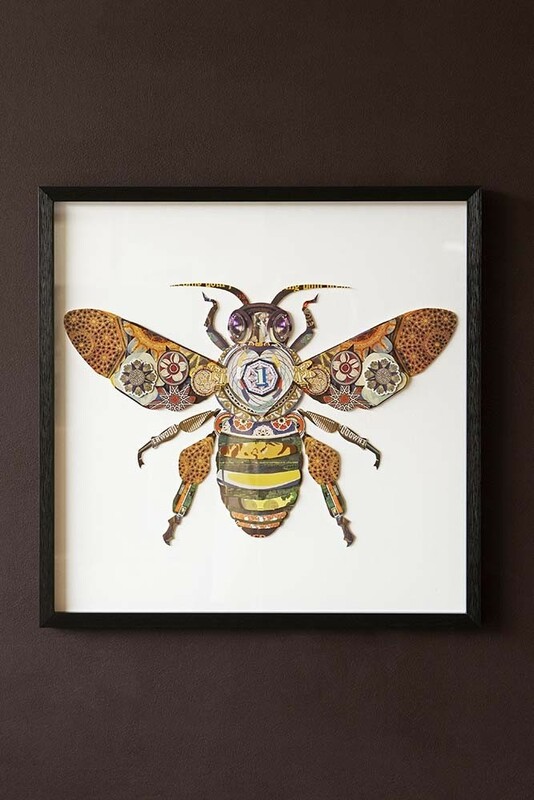 We’re great believers in the power of wonderful wall art and this Framed Bee Collage is our high on our lust list! 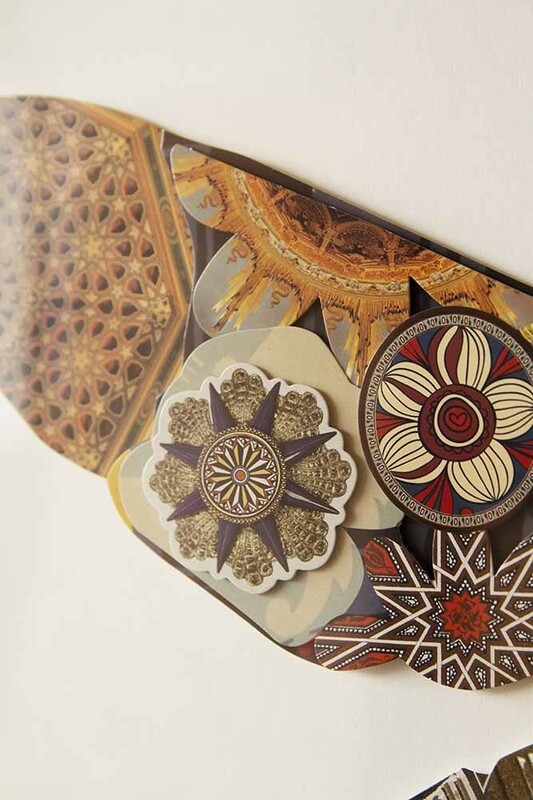 Featuring a range of patterns, from typography to fantastic florals and architectural details, each individual piece of paper is carefully cut out and collaged together to create incredible impact. Displayed on a white background with a bold black frame, the Bee Art Print joins our collection of quirky artworks designed to transform the walls of your home with colour and character. 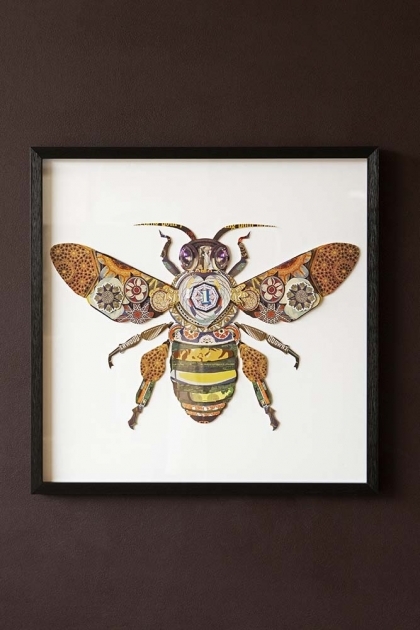 Hang your Framed Bee Collage Art Print in pride of place to create a feature of a plain painted wall or add the fabulous worker bee to a curated picture wall for a buzz of serious statement style.